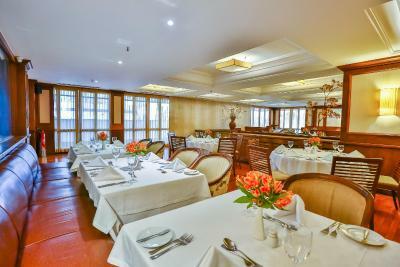 Lock in a great price for Kubitschek Plaza Hotel – rated 8.6 by recent guests! 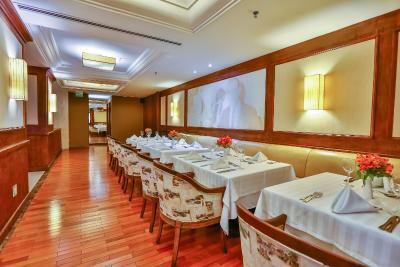 Very good Staff and the food was excellent. The room was very spacious and I got an extra blanket and pillows very fast. I would recommend this Hotel. The price was also very reasonable. The room was spacious, with a good working space. The fitness facility was modern, well-organised and clean, with fresh clean towels at our disposal, as well as free drinking water. 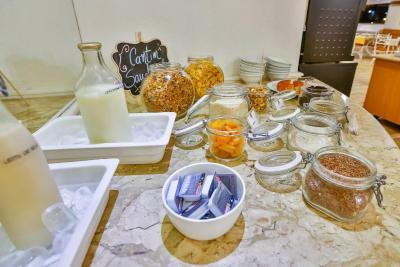 There is also a restaurant with fairly-priced meals and breakfast presents some healthy, as well as free from lactose or gluten, options. The staff was very nice and helpful! 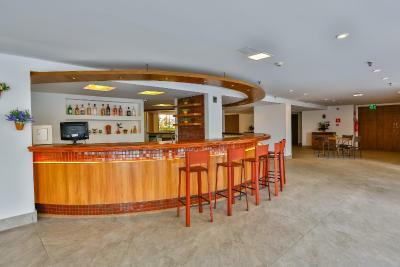 The location is excellent close to government offices, restaurants and shopping mall, very good price and friendly staff and decent breakfast. Friendly service. Staff at the reception spoke good English. Spacious and comfortable room. Convenient location. Excellent breakfast. Great price for the facilities and services offered! 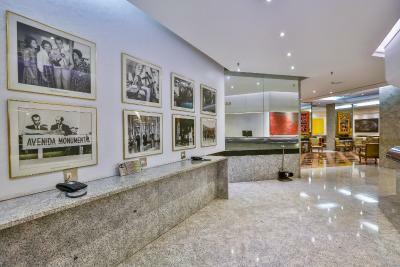 A taste of Brasilia's history in the overall environment of the premisses. Very comfortable room, lots of space. It was possible to have a good shower with hot water. The location is good if you want to stay near the esplanade. 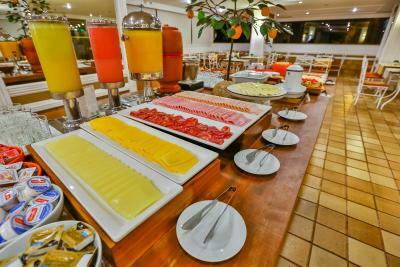 Breakfast is very Delicious and many choice. And the WiFi is very fast, as well as the room is very clean. I like it! Kubitschek Plaza Hotel This rating is a reflection of how the property compares to the industry standard when it comes to price, facilities and services available. It's based on a self-evaluation by the property. Use this rating to help choose your stay! One of our top picks in Brasília.The 5-star Kubitschek Plaza is just a 5-minute walk from Esplanada dos Ministérios in Brasília. 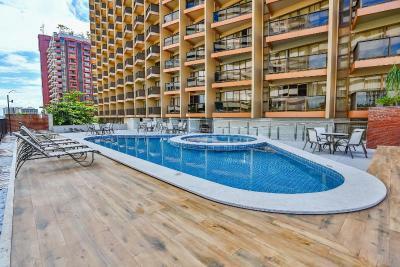 It offers a swimming pool, spa and free Wi-Fi throughout. 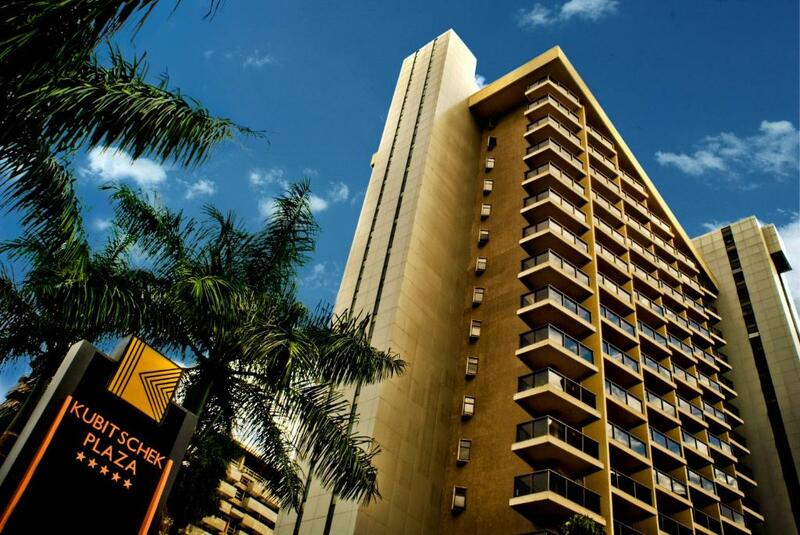 The elegant rooms at Kubitschek Plaza Hotel feature a balcony and are equipped with air conditioning, a mini-bar and cable TV. All bathrooms are private and includes free toiletries and a hairdryer. Superior categories feature spa baths and bathrobes. 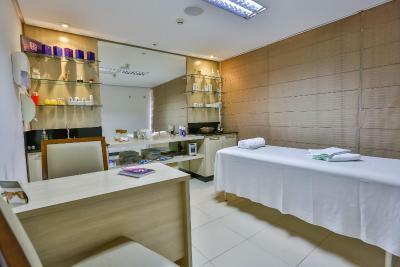 Guests can enjoy a sauna session or spa services, such as massages and facial treatments. 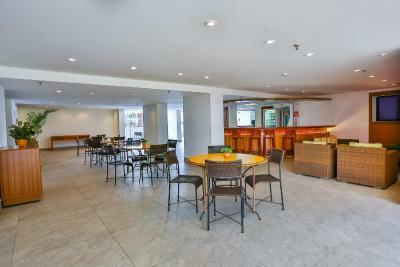 For additional convenience, Kubitschek Plaza hosts 2 restaurants and a bar. 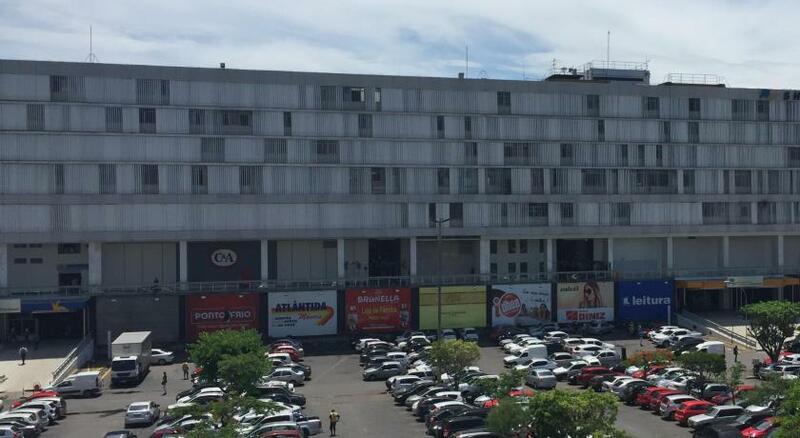 The hotel is located in Brasília´s Northern Sector, close to the city´s commercial area, and a 15-minute drive from the International Airport. North Wing is a great choice for travelers interested in museums, monuments and history. 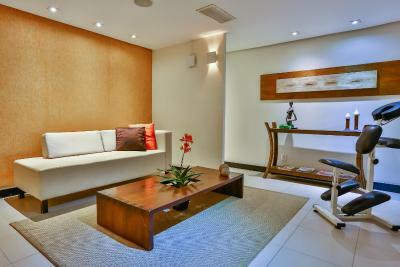 This is our guests' favorite part of Brasília, according to independent reviews. 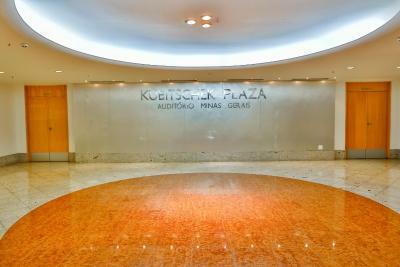 When would you like to stay at Kubitschek Plaza Hotel? 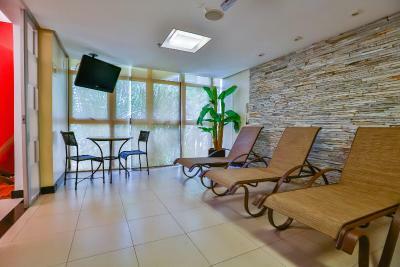 This comfortable air-conditioned room offers an LCD TV with cable channels and a mini-bar. Extras include free toiletries and bathrobes. This room provides air conditioning and a desk. Wi-Fi is free. 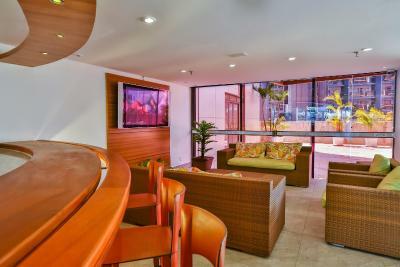 Boasting a balcony, this spacious air-conditioned suite features a 40" LCD TV with cable channels in the living area, and a 30" TV in the bedroom. Extras include a mini-bar. Bathroom is private and includes free toiletries and bathrobes. This single room features a balcony, air conditioning and mini-bar. 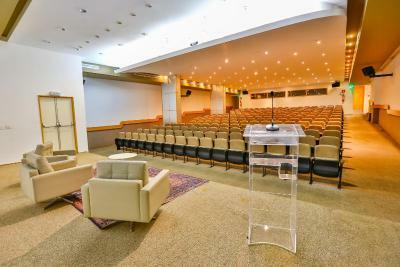 Hotel surroundings – This neighborhood is a great choice for travelers interested in museums, monuments and history – Check location Excellent location – show map Guests loved walking around the neighborhood! 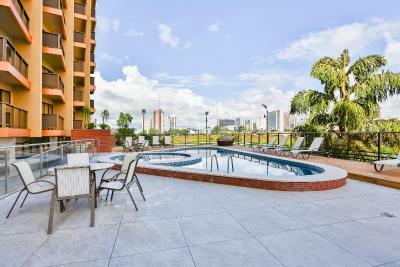 House Rules Kubitschek Plaza Hotel takes special requests – add in the next step! Kubitschek Plaza Hotel accepts these cards and reserves the right to temporarily hold an amount prior to arrival. The steam sauna facility is open daily from 16:00 to 22:00. The gym is open daily from 06:00 to 22:00. Please note that the property's facade is going through renovation works. During this period, guests may experience some noise or light disturbances. Please contact the property for further details. Kubitschek Plaza Hotel doesn't accept checks. According to the Brazilian Federal Law 8.069/1990, minors under 18 years of age cannot check into hotels unless they are accompanied by their parents or a designated adult. If the minor is accompanied by an adult other than his parents, it will be necessary to present a written authorization for the minor to check into the hotel. Such authorization must be notarized and signed by both parents. 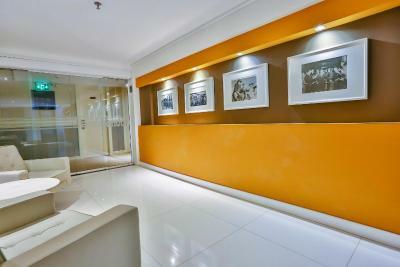 The room rates displayed refer to a 22-hour stay. For a 24-hour stay, please consult the hotel directly to know what are the extra fees applicable. My only problem was the construction on the outside of the Hotel, particularly directly outside of my room. During the day the jackhammers made it hard to watch TV. The bed was too old and too soft, not good for anyone´s back! Lights by the bed didn't function. The bathroom could have a safety bar. I also did not like the layout of my account. Very confuse, and the hotel charged me do cleam up my room. Ali & suas viagens .. The rooms are very small and you can hear the other guests from the next room. Poor wi-fi conection. The breakfast is very good. Hotel is very clean but needs to be refurbished. Internet was not always available with good quality. I am not sure whether the hotel can be blamed for it, as I have heard travelers staying in other hotels complaining about the same.